Kitchen Cabs Direct LLC is the one leading suppliers of kitchen cabinets at wholesale prices in Paramus, New Jersey. The experts of Kitchen Cabs Direct have been working closely with homeowners and contractors all over Paramus for many years to help them select the right wholesale kitchen cabinets to suit their needs. Kitchen Cabinets is your 1 stop shop for Wholesale kitchen cabinets in Paramus! Come to our showroom for the best prices! Are you debating on which kitchen cabinet to select? If so, call us at (201) 655-2240 to consult with one of our expert kitchen cabinet specialists and they will give you a professional recommendation. Many of our kitchen cabinets are fast sellers in Paramus because our quality is so high and our prices are better than other kitchen cabinet showrooms in Paramus. There are many beautiful and luxurious homes with modern, top of the line kitchens in Paramus. You need to make sure that you are selecting the best kitchen cabinets to compliment your home. Are you struggling to figure out which kitchen cabinet will best compliment your kitchen? You can consult with one of our leading specialists at Kitchen Cabinets Direct and they will give you a professional recommendation. 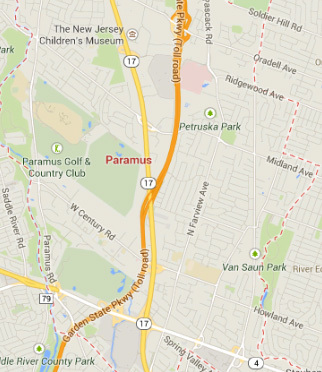 We know the residents of Paramus and what they need. We have been doing kitchen cabinet work in Paramus for several years. The kitchen is the most important room in the new, modernized home. Hence why you need the best kitchen cabinets that your money can buy. And cabinets, more than anything else, can determine the style and feeling of a kitchen. Of course, countertops, flooring, light fixtures, appliances and wall tile all play an important role in your kitchen. But the style and design choice of your kitchen cabinets is what establishes the ultimate mood of the kitchen. Kitchen Cabs Direct will make sure to assist you every step of the way! Call us today at (201) 655-2240 for a free kitchen cabinet estimate as well as a free demo of what your kitchen will look like anywhere in Paramus! You can also come to our showroom. 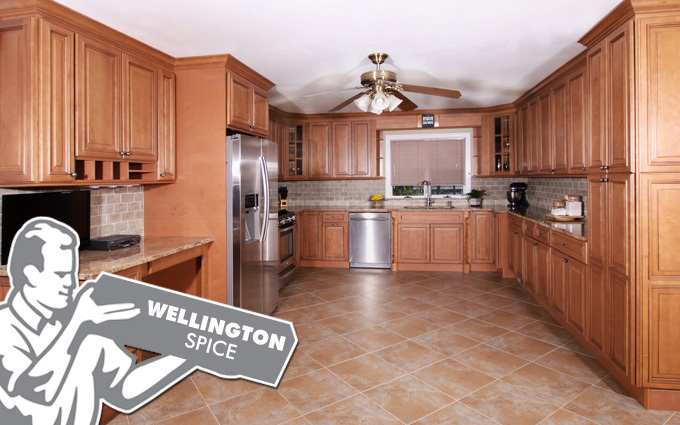 Shown above is a picture of our line of Wellington Spice kitchen cabinets, which has been one of our most popular choices by customers in Paramus. Call us today at (201) 655-2240 for a free kitchen cabinet estimate as well as a free demo of what your kitchen will look like anywhere in Paramus! Kitchen Cabs Direct has just moved most of their operations to Clifton, NJ which is less than 10 miles away from the beautiful town of Paramus, New Jersey. We have our main showroom conveniently located for customers to come visit at 269 Parker Avenue in Clifton. Lots of street parking is available. Kitchen Cabs Direct has been providing different kitchen cabinet services for residents all around Paramus. Over time, the residents have gotten to know us and have recommended us several times for many different types of kitchen cabinet projects.